Torqeedo is supplying electric propulsion systems for a fleet of 15 new passenger excursion boats recently delivered to Vinpearl’s newest resort development at Hoi An, Vietnam. Vinpearl is the largest hospitality group in Vietnam with a chain of luxury hotels, villas and theme parks across the country. 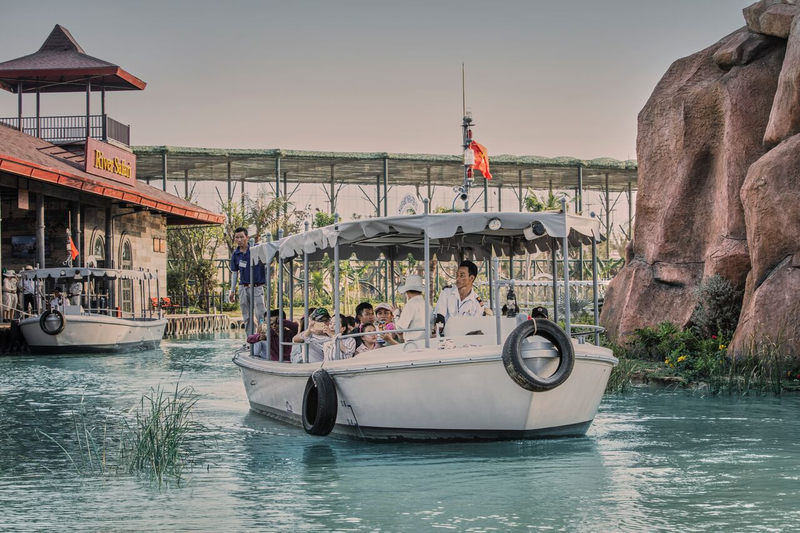 The new boats are being deployed at Vinpearl Land Nam Hoi An, a massive 62.4-hectare theme park that opened April 28. The Torqeedo-powered boats are being used for sightseeing tours of the River Safari jungle habitat, as well as for entertainment in the replica Hoi An Old Town section of the park. The whisper-quiet electric boats allow guests to get close to the rare animals that live in the River Safari without disturbing their natural behavior. The boats operate at average speeds of three knots, ideal for sightseeing, according to Hunter. Song Lo Shipbuilding is one of the largest builders of FRP powerboats in Vietnam. The company is known for building reliable, high-performance boats in the 8-20m range, and is the first choice for big customers like Vinpearl and other resorts and hospitality companies in Vietnam, according to Ta Minh-Hieu.